First and foremost, Pilates is not yoga. It was developed in the 1920’s by a man named Joseph Pilates. Joseph spent his childhood years suffering from chronic illness, but decided that he would not let that hold him back from being mentally and physically fit. He studied both Eastern and Western fitness and health methods and began experimenting to develop his own method for total body fitness. While working as a nurse, his first “students” were wounded World War I soldiers. He utilized mattress springs and bed frames to help them recover from injury and rebuild strength, both mentally and physically. Joseph then moved to New York, where the popularity of his method continued to grow thanks to a dedicated following among professional dancers, like Isadora Duncan. 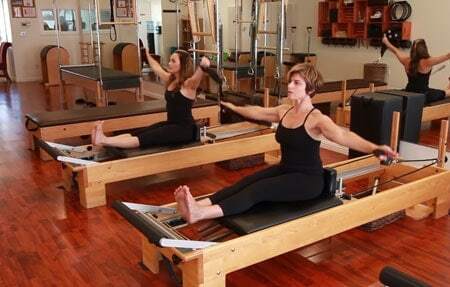 Pilates focuses on correct body alignment, breathing, flexibility, controlled movement and mental concentration. Now you’re probably thinking that sounds an awful lot like yoga, but unlike yoga, Pilates utilizes these ideas to increase overall strength, flexibility and lean muscle tone. It’s not so much about calming your mind as it is about building full-body strength and stability. This is why you will see such a large focus on the core muscles in Pilates. And it’s not just your abs, but also your obliques and the muscles surrounding your spine. These muscles work together to help build a strong, stable you. Did you know that there are two ways to do Pilates? If you find the machines, called a reformer, a little intimidating, you can also get a great Pilates workout on the mat. Reformer Pilates – Joseph Pilate’s mattress springs and bed frames have evolved into the reformers that you now see in Pilates studios around the world. They utilize a series of pulleys and springs to provide resistance while you perform specific exercises. 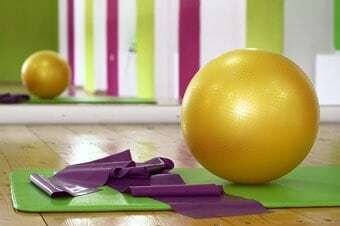 Mat work – A great mat workout can be done using small items like balls, bands or rollers, or you can simply use your own body weight to see results. Doing your workout on the mat also allows you to get in your session from the comfort of home at any time. Whether you are using a machine or a mat, you will be doing the same exercises so you don’t need to feel like you’re missing out by choosing one or the other. The preference is entirely yours. There are several reasons why you should consider adding Pilates into your routine if you are a runner. Active recovery – On your active recovery days, Pilates is a great way to take a break from your treadmill workout and get in a low-impact resistance workout that will help your muscles recover. You’ll increase blood flow and stretch your muscles to help you get back on the road faster. Injury recovery – Since Pilates is a no-impact workout, it is great if you are on the mend from an injury. In this case, the reformer is a perfect option. The machine is set-up to keep your body aligned properly and correct muscle imbalances that are a leading culprit of injuries. This will keep your joints and muscles from over-extending, allowing you to heal. Pilates also allows your workout to grow with you as you recover. You can start on the reformer with minimal resistance training, while ensuring you maintain proper body placement. As you heal, you can modify your exercises to allow for wider range of motion. Once you feel comfortable you can even move to the mat and already know what the exercises feel like, lessening the risk of strain on your body. Pre & Post-Run – Odds are you won’t have a reformer in your house, so this is one area where mat work is going to be your friend. Performing Pilates exercises before you head out for a run is a great way to get your blood flowing and your muscles warm and stretched. This will help you avoid injury when you are out pounding the pavement. When you’re done with your run, make time for a few exercises. Since Pilates is a great form of active stretching, it’ll help keep your muscles from getting stiff and sore. The study included 32 trained runners that participated in the 12-week study. Each individual had been running for a minimum of 6 months and had prior 5k experience. They were then placed into two groups. The control group stuck with simply running based training, while the other group performed a combination of running training and Pilates. 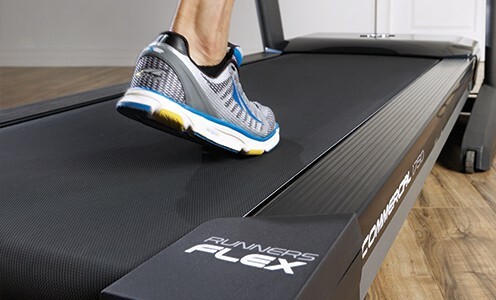 Check out the x32 Incline Trainer from NordicTrack for other great ways to increase your fitness and VO2 Max. Read our full review here. Each individual had their 5k time, VO2max and metabolic cost of running tested at the beginning of the study and the results at the end were surprising. The group that integrated Pilates into their routine saw a significant improvement in their 5k time and their VO2max. Participants also saw a decrease in the metabolic cost of running, which means that they were able to perform more work while expending less energy. We understand that starting something new can seem intimidating, but it doesn’t have to be. In fact, to make it easier, you can try out these basic Pilates exercises that are great for runners to get you started. You may recognize a lot of these exercises, or maybe you’ve done some of them in the past without realizing you were already doing Pilates. If you don’t want to go it alone, check for Pilates studios in your area and learn from a pro. Either way, you’ll find that Pilates is a great tool to help you along on your journey to your best self. 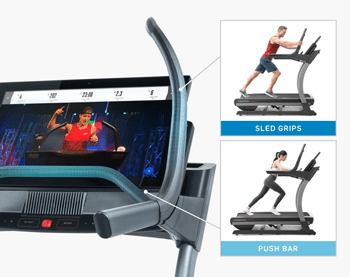 And, if you’re ready to find a home treadmill to help you reach your fitness goals — check out our best buy treadmills. What Is Pilates? The History.